This morning as I sat up in bed, I saw a big brown rabbit hopping along the trail in the meditation garden. A wonderful omen that Easter is on its way. To our surprise, soon another hare appeared. An another. Three! Elliot and I watched their white cotton tails race back and forth across the tall grass, zigzagging between the field and the woods. They were so animated Elliot laughed. "The Angels must be having fun putting on quite a show with the rabbits. " It was a comical sight that brought great joy as I have a tender heart when it comes to those wascally wabbits. The hare symbolizes new life and rebirth. Fertility. The word Easter is derived from the Saxon goddess Eostre to whom the hare was sacred. Hares sleep outdoors in something that looks remarkably like a lapwing's nest and in spring the nests are filled with eggs. 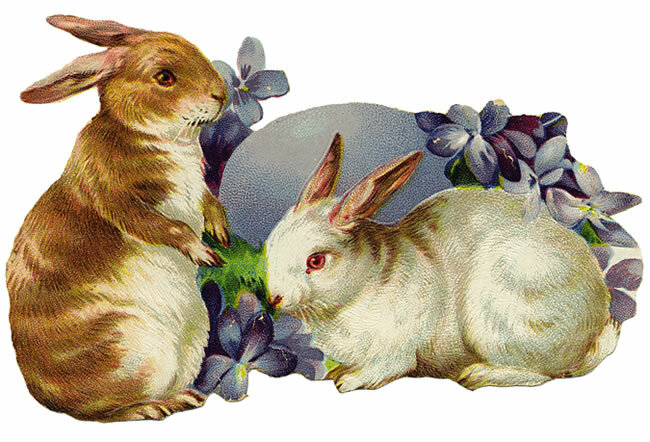 The Christian version becomes the moon-determined time of Easter when the appearance of bunnies and painted eggs marks the time of the resurrection of Christ. May the spirit of Easter shine upon you and light your days with happiness.